Yakushima is Japan’s best kept secret. With pristine ancient forests, you easily have the best hiking in Japan. But, how do you get to Yakushima? 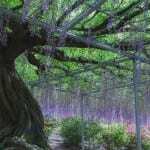 It can be a little tricky, but this article explains how to see the famous Mononoke forest. Traveling to Yakushima, Japan from Tokyo is not hard, but it was a little more challenging than most places I’ve been to. You’re traveling to the very bottom of Japan, to this tiny remote island, and there are several different ways to get there. For that reason, I waited a lot longer to travel to Yakushima, simply because I wasn’t sure exactly what the best route was. There also wasn’t a lot of straightforward information at the time, so I had to figure it out myself. 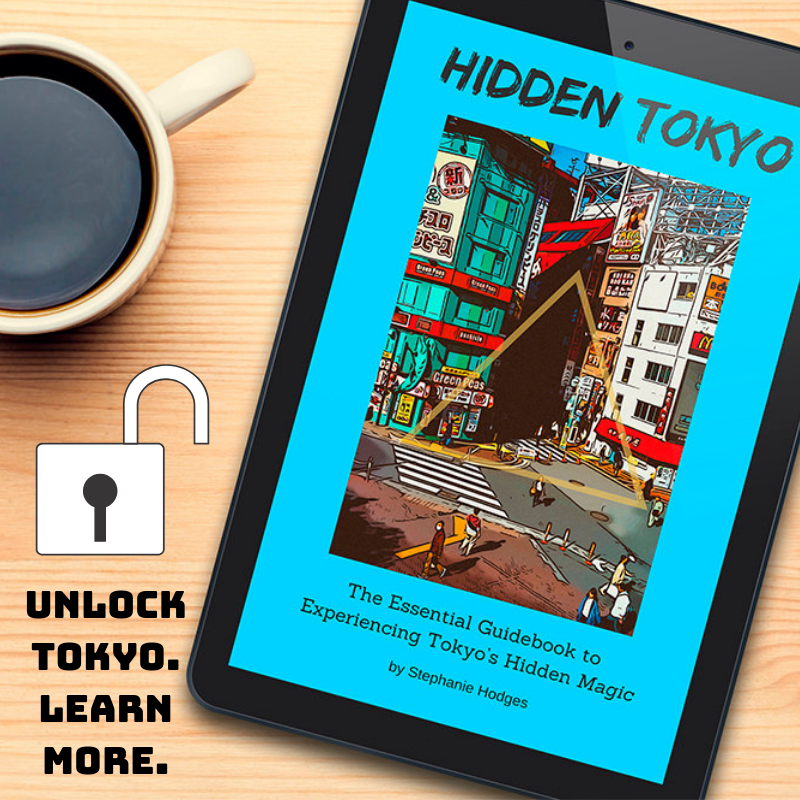 I hope to clarify this journey for future travelers, so they don’t miss out on one of Japan’s best kept secrets. Only a few airports actually service Yakushima Island directly: Kagoshima (KOJ), Osaka (ITM), and Fukuoka (FUK). 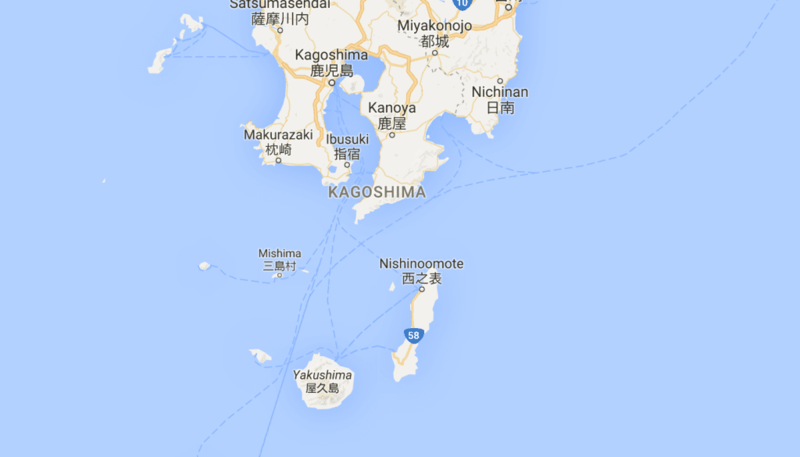 Kagoshima is located at the southern most tip of Kyushu Island. 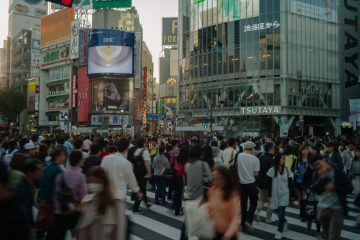 Essentially, you first need to get to these larger cities first, and then take a commuter flight to Yakushima Island. The primary cities that fly to Yakushima are Kagoshima, Osaka, and Fukuoka. How you get to these three base cities is totally up to you. You can’t technically reach Yakushima Island by train, but you can take the train to a major city that flies to Yakushima such as Kagoshima, Osaka, or Fukuoka. 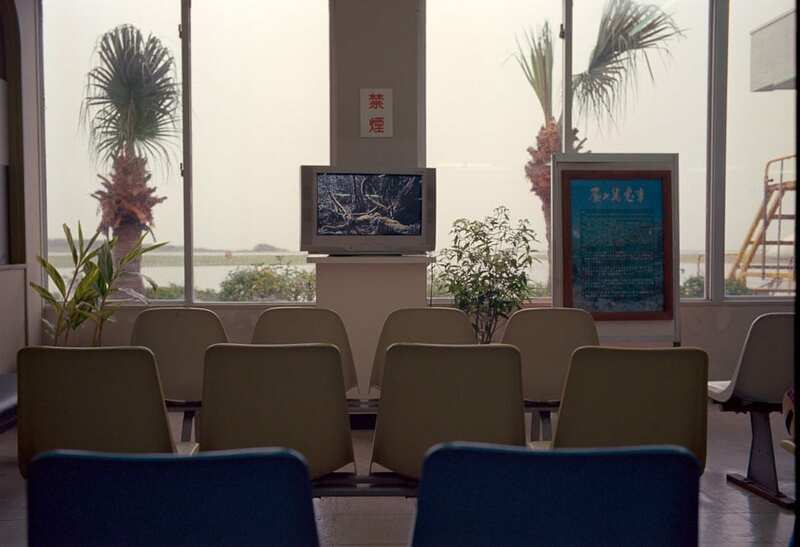 Then you take a commuter flight to Yakushima Island, or even take a ferry. 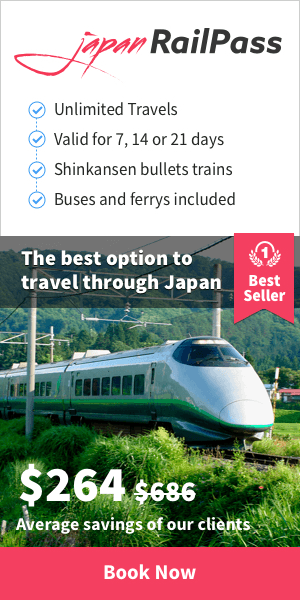 If you travel by train, you will need to use the Shinkansen or Bullet Train. If you plan on traveling by train from Tokyo, you will need to purchase a JR Pass because without it, it’s WAY too expensive. It’s A LONG journey so the price will be astronomical, even more so if you take the train all the way to Kagoshima. But because I was a resident in Japan at the time I traveled to Yakushima, I was not allowed to use the JR Pass since it’s only for those visiting Japan. Therefore, when I went, the price was much too expensive to take the train from Tokyo to Kagoshima and back, so I had to fly. I flew from Tokyo to Kagoshima with Japan Airlines (JAL). Waiting out a severe thunderstorm in the one room airport. Nothing like a taking off in roaring thunder and lightening! If you’re also planning on traveling around Japan at all to explore various cities and places, you should also purchase this pass. I personally love traveling Japan by train. The trains are clean and quiet and it’s a perfect way to take in the Japanese countryside. But remember, the JR Pass is only good to use on the Shinkansen and on the JR line. Use Hyperdia to Schedule Your Train Times. You can reference my article here on how to use Hyperdia to schedule your trains around Japan. If you’re traveling from Tokyo to Kagoshima, Hyperdia automatically includes airplane transportation in your route, as well as the Nozomi lines which aren’t covered by the JR Pass. Simply uncheck these options at the bottom to obtain your scheduled results using just the train. Once you get to either Kagoshima, Osaka, or Fukuoka, the next step is to take either a commuter plane or ferry to Yakushima Island. I’ll describe the plane route here but scroll down to see how to get to Yakushima via ferry from Kagoshima. JAL is the only airline that operates to Yakushima. It’s a short commuter flight. Click here to book your flights with Japan Airlines to Kagoshima and Yakushima. For the flight to Yakushima however, Japan Airlines is a little different and you can’t book your tickets more than a few months in advance, so be sure to check the website as soon as they become available. This way you can make sure you can get the cheapest fares that you want. Remember that if you’re flying out of Tokyo, there are two airports, Haneda & Narita. Haneda is the best option because it’s a lot cheaper and easier to get to. 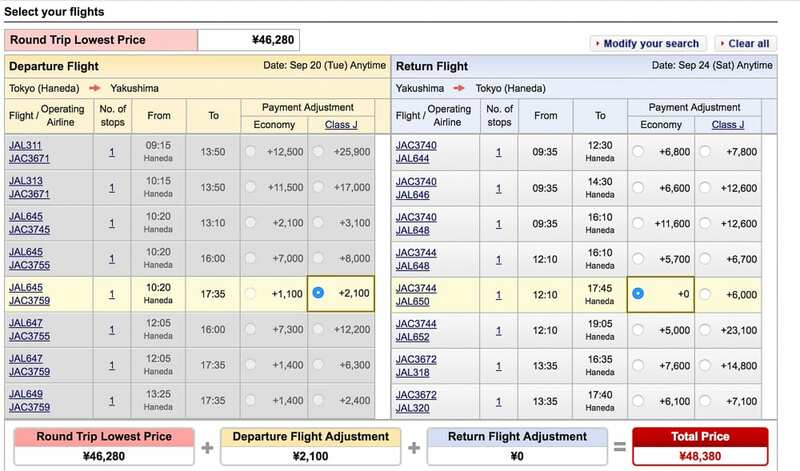 JAL offers Economy and Class J. Class J starts for only ¥1,000 more (or about $10) but you get a higher quality seat & inflight beverage options. I upgraded for the modest cost! But as you see in the examples below, Class J can often be more than ¥1,000. One last option is traveling to Yakushima by ferry from Kagoshima. There is no ferry option from Osaka or Fukuoka. There are two ferries a day that run between Yakushima and Kagoshima. The best thing about traveling by ferry is that it’s a better fit for those who like to plan things a little later. Taking the ferry to Yakushima could theoretically allow you to plan your trip to Yakushima more last minute. Click here to read about how to take the ferry to Yakushima from Kagoshima. This website tells you everything you need to know. I clicked on the JAL link and entered my destination information. Here, I selected the times departing Haneda Airport in Tokyo. 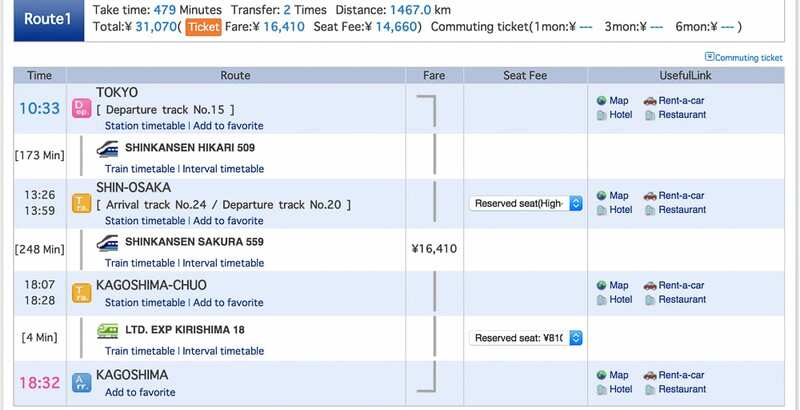 As you can see, the options to upgrade to Class J are slightly more expensive than the standard ¥1,000. Prices vary quite a bit. You can select the lowest Round Trip Price, but you may have to leave at 6:35 am for that fare. For a little more, you can leave at a more comfortable time. 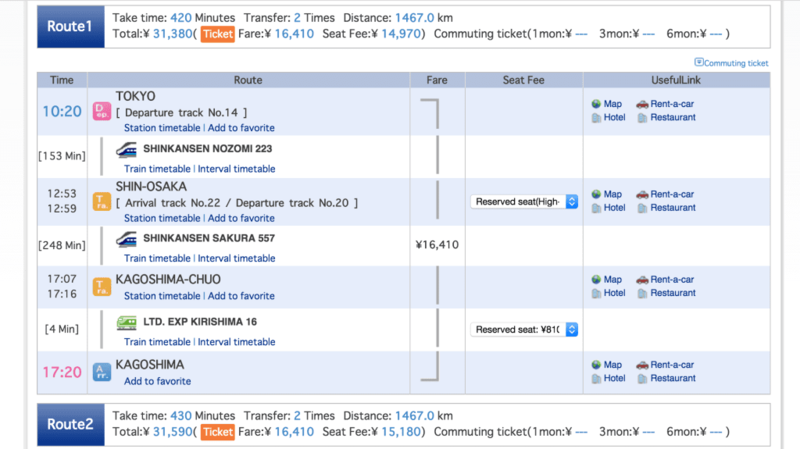 As you can see, it’s rather easy to book a flight on JAL. Here’s a route I plugged in for Tokyo to Kagoshima. As you can see, it’s a little bit cheaper. And if you use a JR Pass, then you will be able to get most of this route paid for. However, you will still need to purchase a commuter flight to Yakushima Island from Kagoshima (KOJ) via Japan Airlines. You can also travel to Yakushima by Commuter Ferry from Kagoshima, see above. If you want to use your JR Pass, you can’t use it on the fastest trains, the Nozomi & Mizuho Lines. So simply uncheck the box (above) and regenerate a new schedule. Listed below, you can find that you get to take the Sakura & Hikari trains now. It takes 479 minutes now instead of 430. 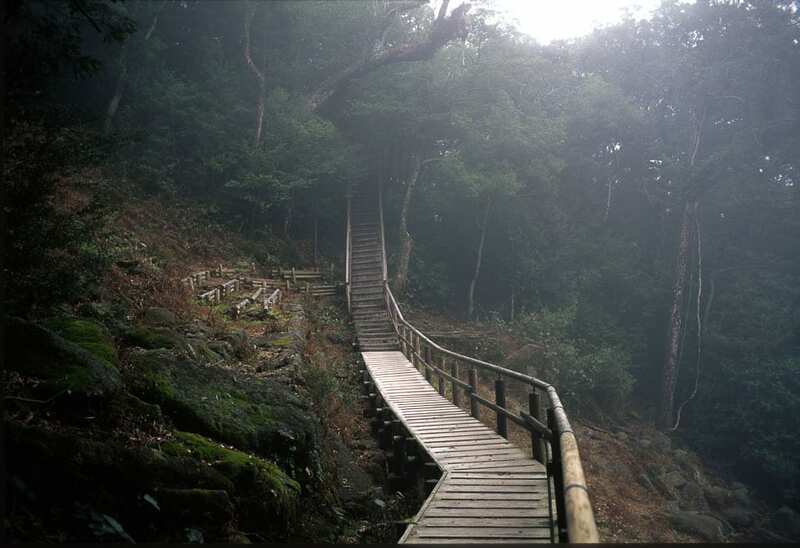 Yakushima gets a lot of rainfall, so make sure not to go during the height of the rainy season. 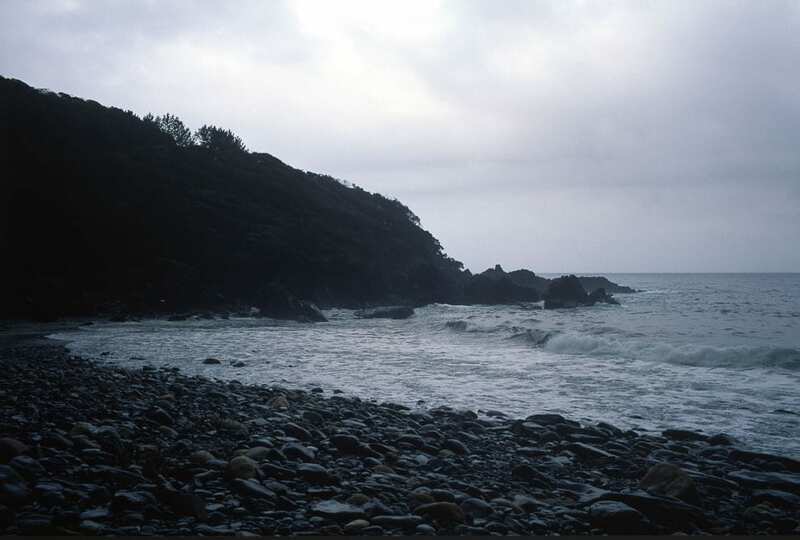 Even outside the rainy season, Yakushima gets A LOT of rain. When I visited in April, I got caught in a torrential thunderstorm before my flight. Because the airport is literally just one tiny room, it’s possible that your flight will get cancelled in bad weather. Therefore, it’s wise to probably leave yourself an extra day in case you can’t get back if the weather takes a turn for the worse. I wouldn’t recommend booking a flight out of Tokyo the next day, etc. Also, this is definitely where you find Japan’s best hiking and for that reason, bring good hiking shoes and attire. 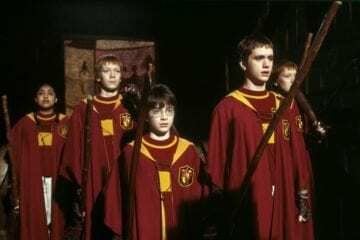 Also be prepared to encounter leeches and things like that if you go off-the-beaten-path. You will most definitely want to make sure your camera is ready for this adventure. So that’s my first piece of advice. I hired a tour guide (found online) and I highly recommend doing this if you don’t rent a car. It’s a very small island and the guide basically drove me around the entire day and took me to places I never would have known about. I didn’t want to rent a car so I found this the best solution. 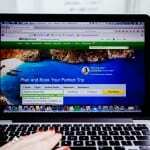 The only downside is that when you hire a guide, you now have to deal with another person’s scheduling demands. This meant that I did feel a bit pressured to “hurry up” in some instances. Another day, I simply took a take from my hotel to Yakusugiland. Of course, how did I get back from this remote forest? Fortunately, there is a small gift shop there, but I did make an arrangement with the kind taxi driver to come pick me up 3 hours later. There are not a lot of places to stay on the island but I made the decision to stay at the beautiful Sankara Resort which was one of the best experiences I’ve had. This place is so beautiful perched over the water. You have your own bungalow too. 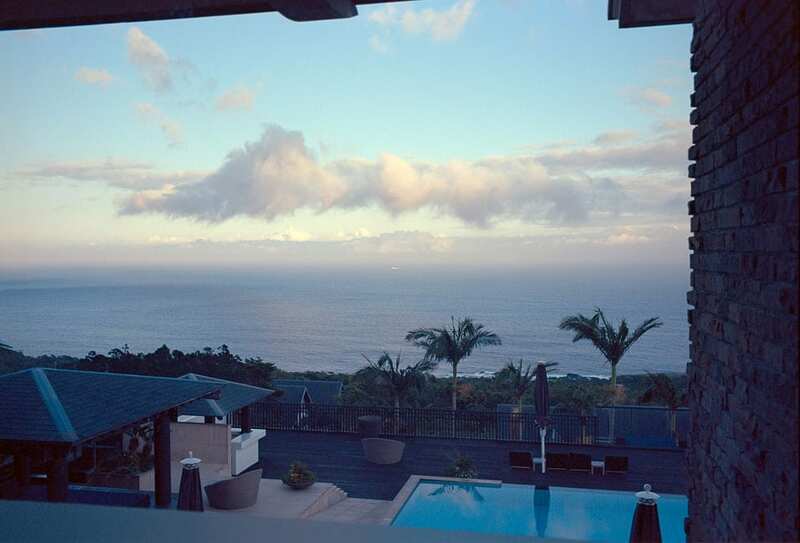 The pool is stunning, and there’s also a lovely reading room with a view of the ocean. Perhaps my favorite part about the Sankara was the service. I felt slightly anxious at the time with a severe food allergy traveling to a place this remote and the restaurant was not only exceptional in food, but they were able to cater to this request. On my last day, the hotel’s shuttle drove me to the small airport. It started pouring down rain but the kind girl actually parked the car and walked me into the small one room airport to make sure that my flight will take off. She didn’t want to leave me stranded in case my flight got cancelled. It was really a nice gesture and the service and hospitality really took the stress away and made me feel not totally alone on this island (as I was traveling solo). My biggest tip is that if you’re traveling here, make sure not to wait until the last minute to book your hotel. It’s a tiny island but during the hiking season, places fill up fast. My sister and I traveled to Yakushima earlier this year in April – we used the JR pass to plan our journey. We broke up our trip to Kagoshima with stops along the way, but to give an indication on direct travel time the shinkansen from Kagoshima to Osaka took about 4 hours (we took the slow ferry from Kagoshima to Yakushima). The yesyakushima website was an invaluable resource, they organised our accommodation and car hire as well. 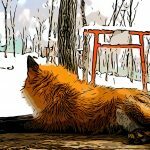 If you plan on going to the forest (shiratani unsuikyo) then definitely hire a car! Thanks for the tips Stephanie, terrific site! I am going to be in Japan (again) for a few days in early March, and am starting to plan a short trip to Yakushima! Your insights are precious! You’re very welcome! 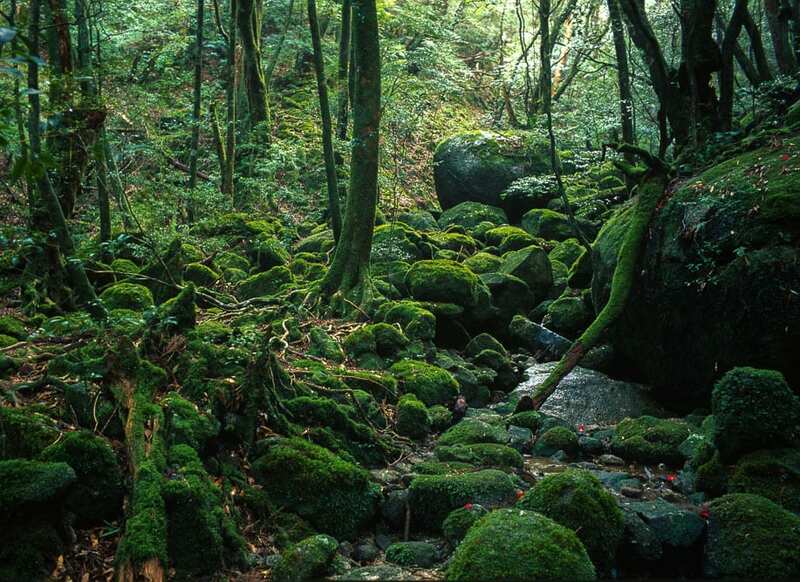 Yakushima is truly a remarkable place, I’m happy to hear you are planning a trip there! Whaaat Yakushima! I spent two years on the neighboring island of Tanegashima and used to teach a few days a month on Yakushima. 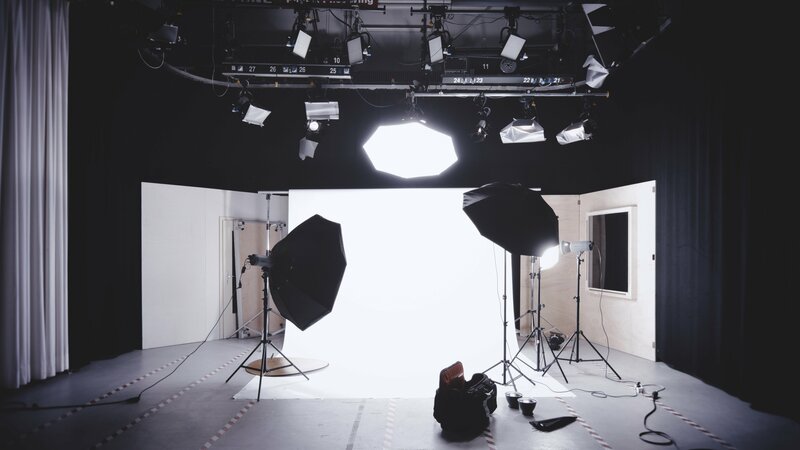 Love that you’ve featured it! That’s so awesome! Yea, I LOVED Yakushima, it was soooooooo beautiful!!! I wish I could go back.